The National Palace Museum, with locations in Taipei and Taibao, houses the world’s largest collection of priceless Chinese art treasures spanning China’s nearly 5,000 year history from the Neolithic age to today. The collection is comprised of over 600,000 art objects, the majority of which were part of the Chinese imperial collection, which began over 1,000 years prior in the early Song dynasty. The National Palace Museum was originally founded within the walls of the Beijing Forbidden City in 1925 and eventually moved to Taipei's Shilin District following the Republic of China government relocation in 1949 with an official opening for the public in 1965. 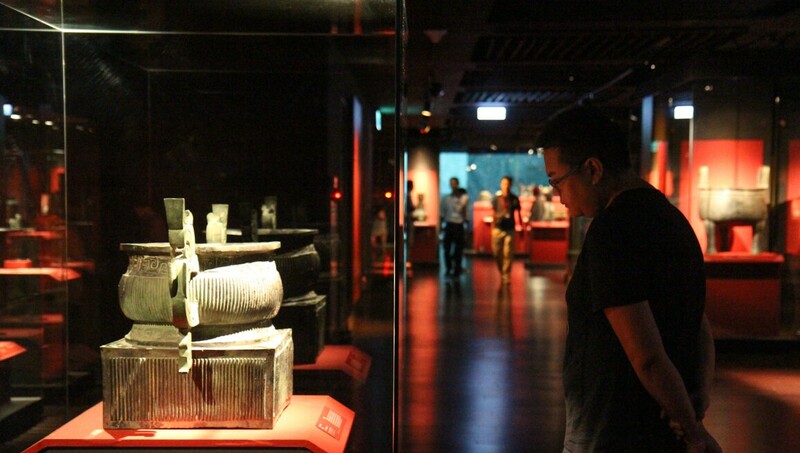 A fully modern museum, the Palace Museum also participates in Taiwan's National Digital Archives Program, using the latest in digital technology to digitally preserve its ancient artifacts as well as high technology to improve the museum experience for visitors. Spread over 4 floors and 2 exhibition halls, the museum's exhibits continuously rotate, as only a small percentage of the museum's collection can be displayed at a given time to prevent wear. National Palace Museum of Korea, Seoul. Photo: Jinho Jung [CC BY-SA 2.0 (https://creativecommons.org/licenses/by-sa/2.0)], via Wikimedia Commons. National Palace Museum of Korea, Seoul. Photo: Mar del Este [CC BY 3.0 (https://creativecommons.org/licenses/by/3.0)], via Wikimedia Commons.